Truly astonishing footage has just been captured on the International Space Station, and it's being released to the public for the first time. 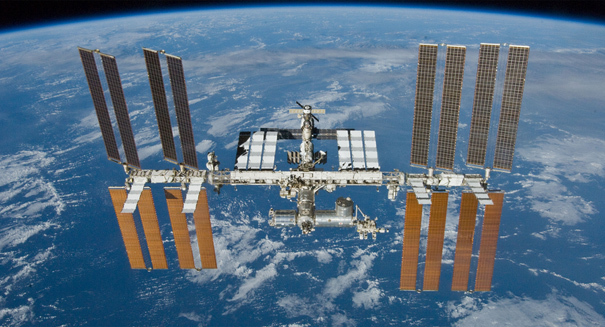 Get ready to have your mind blown, because the International Space Station has recorded something that is unlike anything you will see on Earth. Video placed on the ISS and released to the public by the National Space Institute in Denmark show spectacular flashes of blue lightning high above the clouds where we can’t see them, and you can watch the remarkable footage below. The ISS captured the rare moment when blue lightning blasted above storm clouds, shooting up 18 kilometers above the ground. Blue flashes are seen above the clouds and thus usually impossible for us to see, and researchers wanted to better understand this phenomenon so they placed cameras on the ISS specifically to capture them. The results were incredible, showcasing nature’s awesome display and one flash that appeared to span 40 kilometers.